Our Museum, and our brand, are always known for, exquisite, modern and classical original masterpieces! All art collector’s, and all art lovers, always love our Original Fine Art Paintings on their walls! 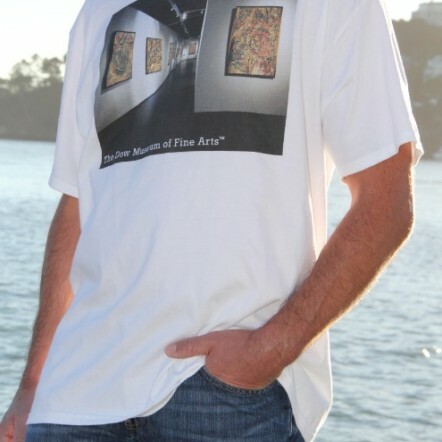 So they really enjoy wearing, our Fine Art T-Shirts, featuring our Original Fine Art Paintings! Everyone loves the look and feel, of all, of our Museum Fine Arts T-Shirts! You can even wear our refined, Original, Fine Arts T-Shirts, for working-out, in modern casual style! Many sophisticated women, also love to wear them too, because our T-Shirts, are so elegant, and comfortable; with jeans, running to the store, working-out, or relaxing lounge wear. Our entire Museum, our entire brand, and our original fine art masterpieces, are always loved and enjoyed by everyone! They are so great looking, super awesome, and always very practical! Our T-Shirts, are so comfortable and stylish, some customers enjoy getting several of our, Fine Art T-Shirts, at a time! All of our extraordinary Museum masterpieces, are all, always painted right here! Our Museum visionary/master painter/filmmaker, will literally take hundreds of hours on some certain sized paintings, and thousands of hours, on very large sized paintings! As you can see in our museum, her attention to details, storytelling, concepts, lighting, depth, perspective, texture, dimensions, and amazing colors, are exquisite! She is extremely meticulous, passionate, and always a perfectionist, in everything that she does! All of her projects, embody her multi-dimensional talents, and extraordinary gifts; always in the most original and meaningful ways! She is a talented visionary, that is always original, innovative, creative, imaginative, meticulous, passionate, hard-working, and tenacious! Her masterpieces immerse you in the story! She always wants her audience to feel an extraordinary and magical experience, from visiting her creative world! Many fine art collector’s, love collecting her exquisite collections, and extraordinary masterpieces! As you can see, Our Museum Masterpieces, and Fine Art T-Shirts, make the perfect gifts for everyone! You will have an Awesome time, wearing our Fine Arts T-Shirts! And watch how many compliments you get! Everyone loves to look Awesome! Have tons of Fun with Us! Always Laugh! Love! And Live Life to the fullest! 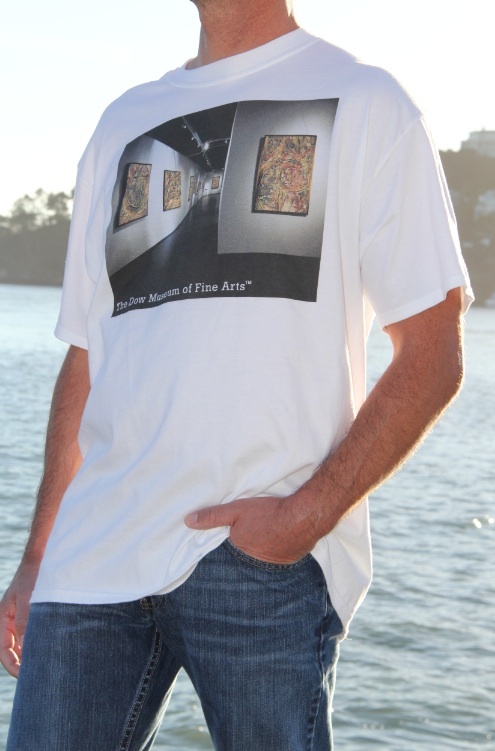 Our Museum Fine Arts T-Shirts, are modern, unique, stylish, sleek, and always original! Our Museum Fine Arts T-Shirts, are always so well-made, with the nicest, thickest, 100% cotton, that will last you for a very long time! All of our, original fine art paintings and masterpieces, are always masterfully painted right here; of course we also do our fine arts photography/lighting/and sets, here, and at locations too! Even the printing for all of our t-shirts, are always done in the USA also! In our beautiful california outdoor photo, you can see; our very handsome male model, is wearing our Museum Fine Arts T-Shirt in modern style! colors: a white t-shirt, with our modern heirlooms, multi-colored, multi-textured, three dimensional layers, golds/with rich colors, our original fine arts paintings.